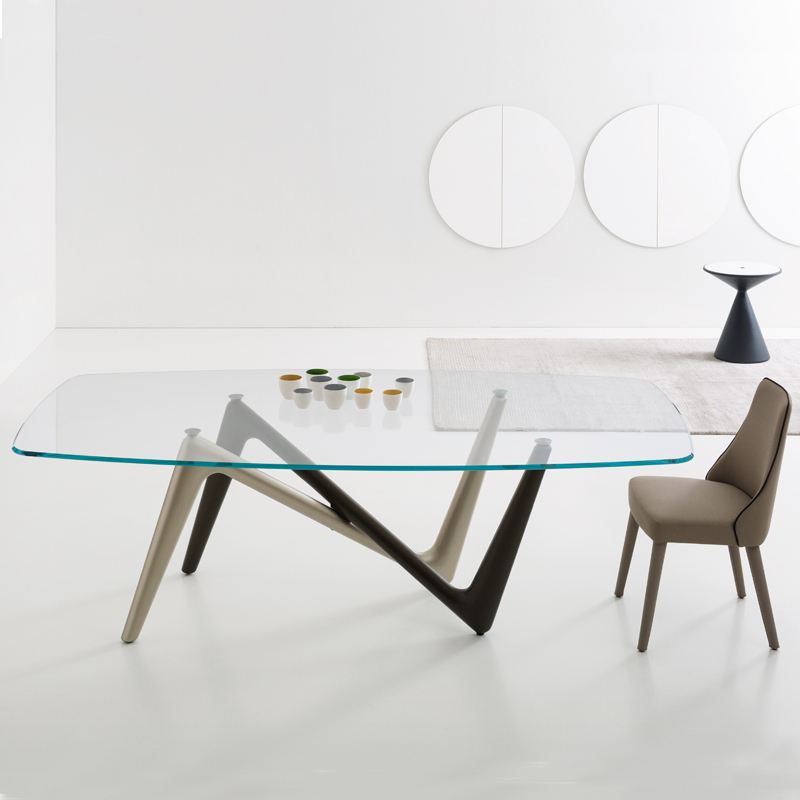 Luxurious and inviting, the Esse dining table revolutionizes all social gatherings at meal time. 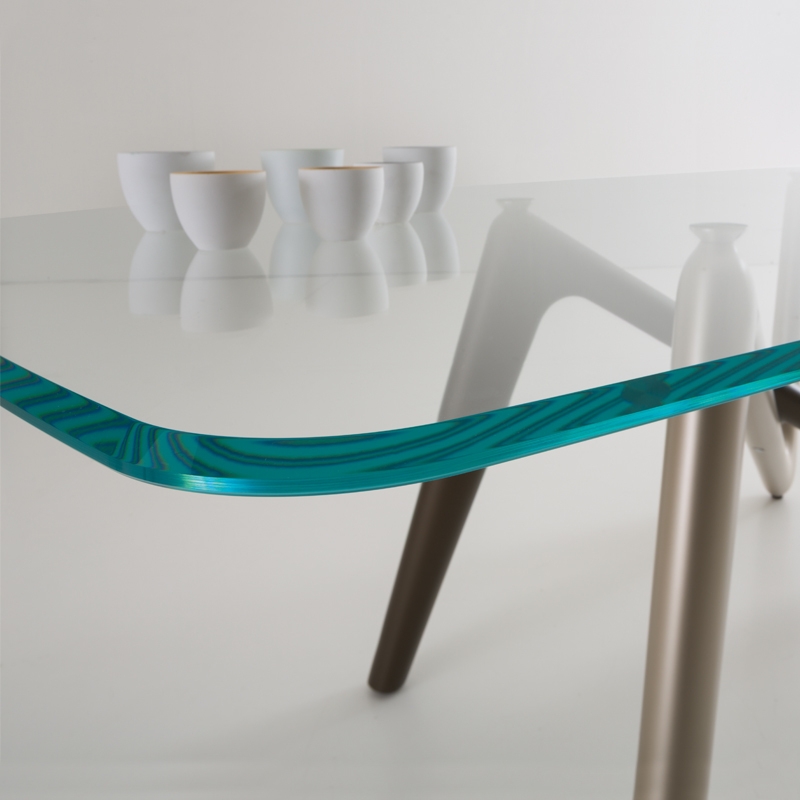 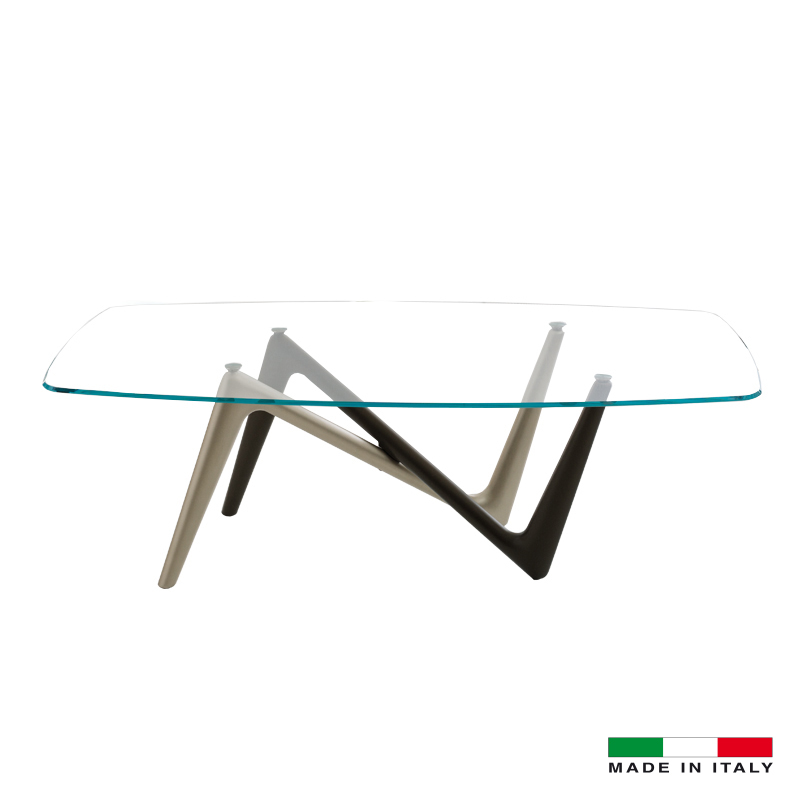 Its captivating table top options of ceramic Noir Desir (depicting a midnight desert), Brazilian Green (a closer look into natures cosmic remedy) and clear glass rests perfectly on its bicolored base which crosses over to form a “Z” shape design. 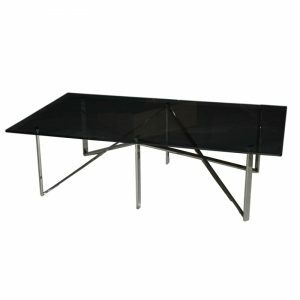 Impress your guests by upgrading your dining room with our European style Esse dining table.